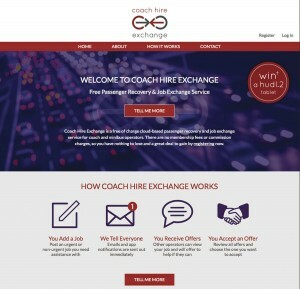 Distinctive Systems has launched Coach Hire Exchange (CHX), an entirely free of charge cloud-based passenger recovery and job exchange service for coach and minibus operators. CHX is designed to help operators find immediate assistance in the event of a breakdown, or any other situation where passengers need to be picked up and transported as soon as possible. It is also designed to make it easy for operators to find another operator to cover a planned job they need to contract out. Chris Peat spoke to Distinctive Systems MD, Mike Whitehead, to find out more. 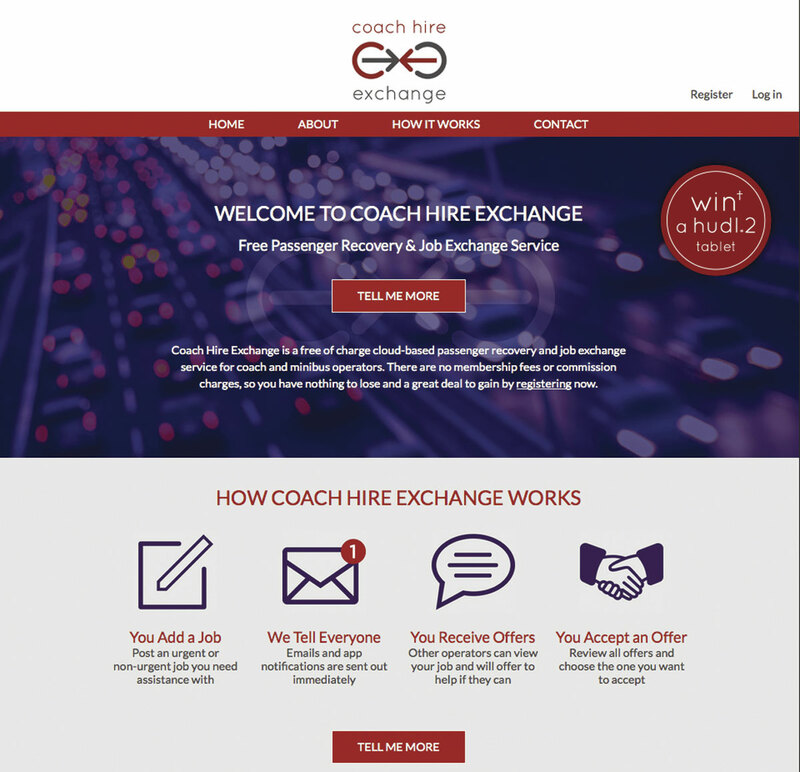 CHX can be used by any coach, minibus or associated operator handling their own private hire work, regular contract work, day excursions, extended tours or express services. Any user can post their own jobs and offer to cover jobs posted by other operators. It is a standalone service, not dependent on any other systems, is designed to be quick and easy to use and is of equal benefit to operators both with and without a booking management system. 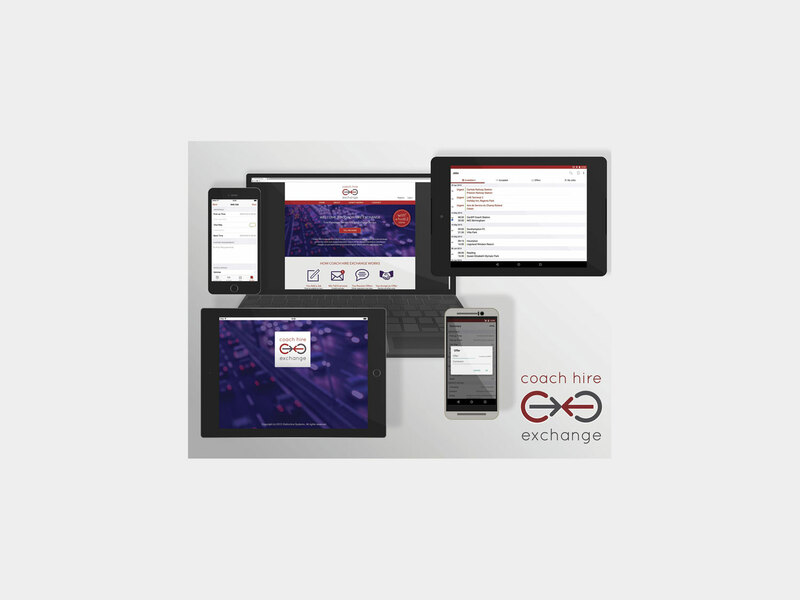 The CHX website can be used on a browser running on a desktop, laptop, a tablet or a smartphone. It is also available as an app for Apple’s iPhone and iPad, as well as a separate app for Android phones and tablets. The apps mirror the information and functionality available on the PC or laptop version of the site, except for the added feature of providing notifications and alarms to a phone or tablet each time a post is made on the site. The product is intended to give operators who have jobs they would like assistance with a really simple but effective means of sharing the details of this work with a large number of other operators. Jobs can be quickly and easily posted to a central database, which other operators can see and offer to help. In an effort to make posting an urgent job as quick as possible, the only input details required are the pick-up point, destination, number of passengers and any further requirements. For non-urgent jobs the details needed are the pick-up date and time, pick-up point, destination, back date and time and the number of vehicles with a type and seating capacity. The instant a new job is posted, CHX sends out emails and app notifications to all other operators. This process is fully automated to ensure operators are able to respond literally within just a few seconds of a job being posted. A list of all available jobs can be viewed by any operator at any time on the CHX website or apps. Jobs are listed in date order and clicking on a job will drill down to its full details. Along with the details of the job itself, other operators can see the contact details of whoever posted it. CHX provides an easy to use built-in mechanism for operators to make and accept job offers. Emails and app notifications are sent out automatically for all offers and acceptances. CHX is not an entirely new concept, however Mike said it has been designed to be fully automated and sends out app notifications, which means its messages are immediate. The fact CHX is free is another plus point over others, says Mike. He said Distinctive Systems is offering it as a free service in order to create more exposure for the company and ‘also to give something really worthwhile back to the industry’. Creating CHX was inspired by its experiences in the industry, having had its system introduced in fleets across the globe. From having such an expansive roll out, Mike said Distinctive Systems has gained a good understanding of the needs and requirements of the industry. The company uses this experience widely in its effort to constantly create new solutions and upgrades to existing programmes. 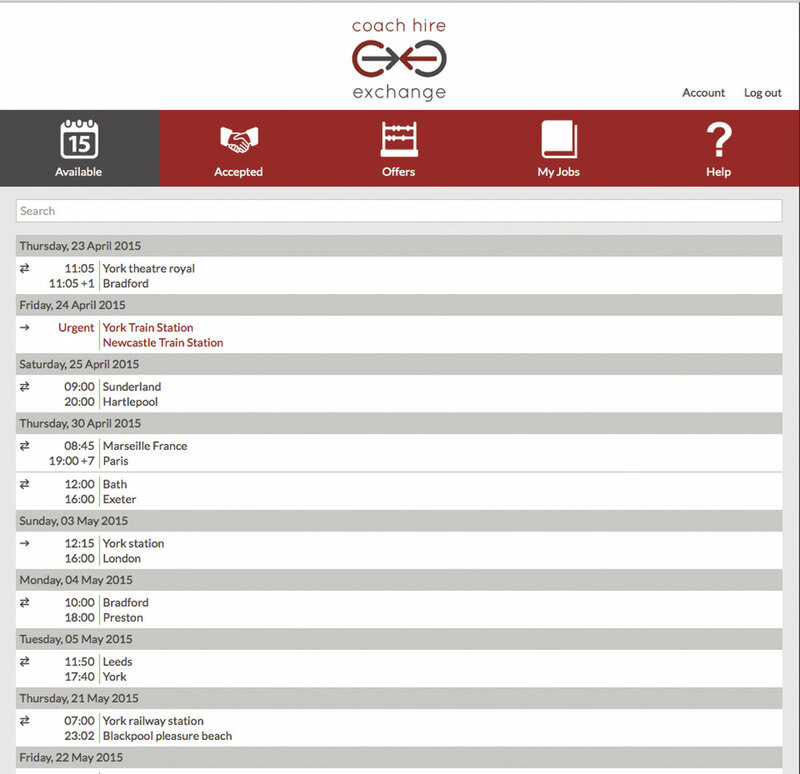 A recent development was its ‘Where is my Coach?’ service, which allows passengers to see the location of their allocated vehicle on the day of their booking. There is no charge for using this, but it does require operators to have GPS vehicle tracking from one of the company’s supported vendors and a Google asset tracking licence purchased from them. 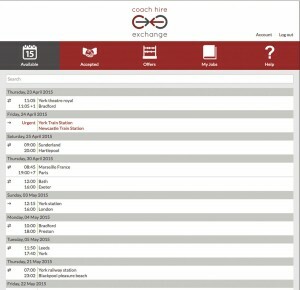 When a private hire booking is taken, behind the scenes the software supplier’s Coach Manager solution uploads a unique tracking reference to the whereismycoach.com website. This reference can then be given to a customer in the form of a short URL via their confirmation letter, via its new client pre-departure email or by phone. When the client clicks on the URL they are taken to the whereismycoach.com website where they can view a Google map showing pushpins for their pick-up point, their destination and the location of their allocated vehicle or vehicles. 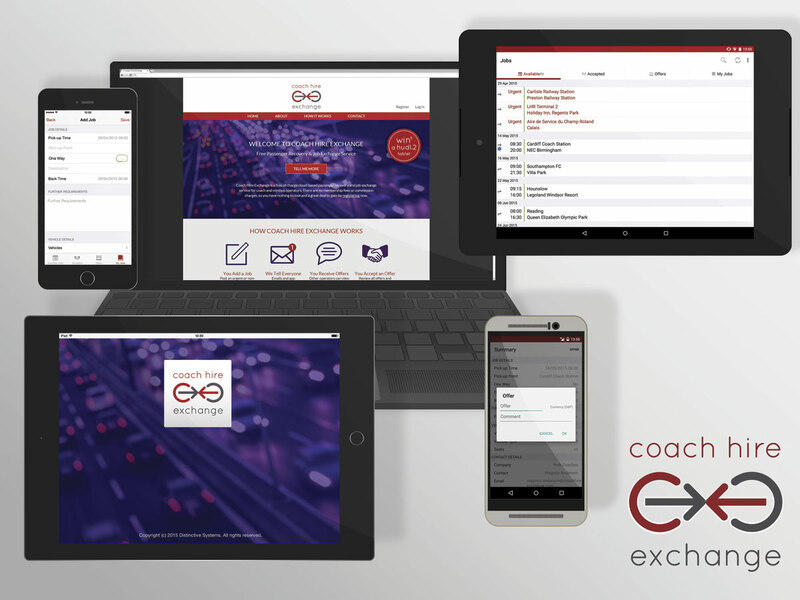 As part of the Coach Hire Exchange launch campaign, Distinctive Systems will be giving away six hudl2 8.3” 16Gb Wi-Fi tablets. To be entered into the draw, post a job to CHX or cover a job posted by another operator.